See how I got the foam to make the same eye pattern as on the label? 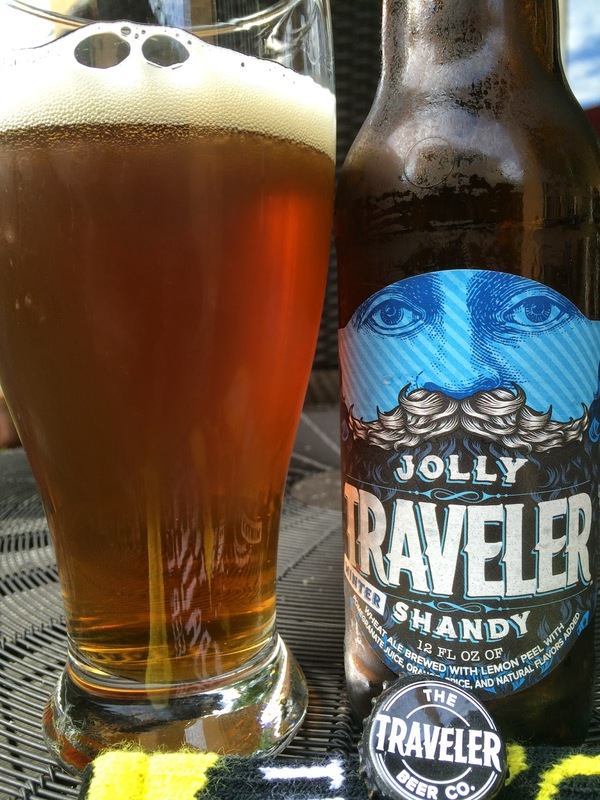 Today I'm checking out Jolly Traveler Winter Shandy brewed by The Traveler Beer Company in collaboration with the Boston Beer Company. The Burlington, VT brewery sent me a bottle of this new offering which they say goes against the grain of your typical dark, heavy winter seasonal beer. Though called a shandy, this is not a beer/lemonade mixture; rather, it was brewed with lemon, orange, pomegranate and spices. 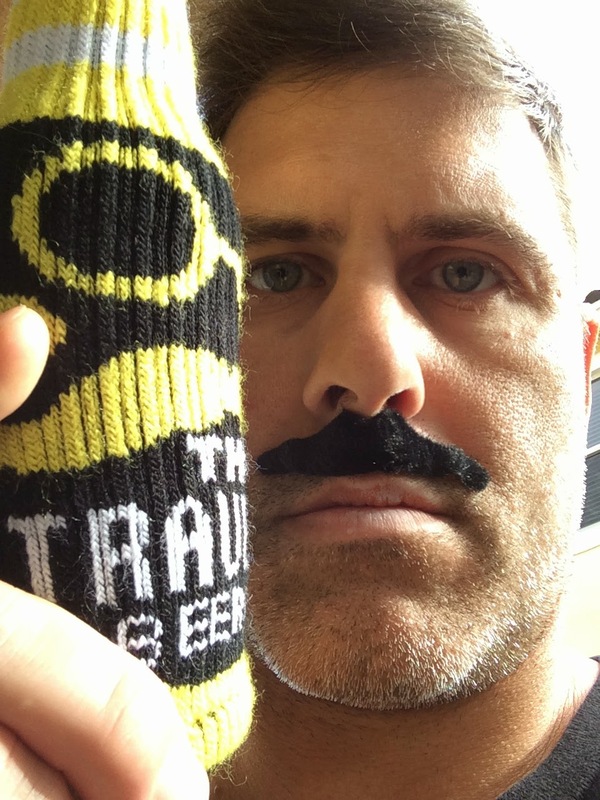 Along with the beer came a bottle koozie and a fake mustache (and encouragement to put it on, snap a photo and be a fellow #TRVLR--you know I did that!) 4.4% alcohol. Serve "this cool fellow with a WINTRY disposition" at "a temperature that illicits hoots, howls, and horns." "Preferred Beer Glass: A clean one!" Aroma is full of oranges and pomegranates, very fruity. Flavors begin that way too. Fruity and juicy oranges and lemons, sweet and candy-like. Just when the sweetness seems a little much, it dissipates into a fruitcake type bready finish. Cinnamon, raisins, and lingering wheat. Not bad, nice fruity flavors. A touch on the too sweet side. Definitely leans the shandy way.